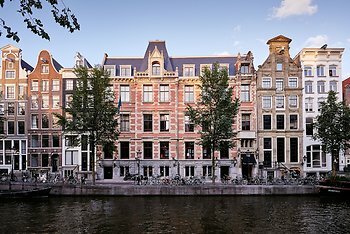 The Hoxton, Amsterdam Hotel, Amsterdam, Netherlands - Lowest Rate Guaranteed! Very clean and comfortable rooms; welcome back note was a nice touch. Love love love the bathroom! Very comfortable room, smallish. Well appointed. Little touches very much appreciated: breakfast, lounge area, room amenities made the trip very enjoyable. Bottles water provided. Someone came around to check our satisfaction with the room cleaning (great). Not quite enough space for luggage but we made do. I checked in two times at the Rembrandt Classic. I love it the first time, the ease and friendliness around. Love it more the second time. Location is simply great. Big room and comfortable beds. Great value for money. Good basic hotel with everything done well. Great value for money and very helpful recepion staff. Not much could have been done better during my stay. The hotel staff were very courteous and prompt. Right on the canal in a nice, safe and convenient part of town. Close to everything. Clean, helpful staff. Not fancy, but nice. I would stay there next time. We got what we had been promised; very clean quiet room, staff helpul, comfortable bed(clean linen every day) , extra pillows delivered as soon as asked for,good bathroom,decent breakfast. Obviously it's only a 3star hotel, so do not come here if you want a room as big as a ballroom or very expensive luxury toiletries; but for its class it is excellent. The location is excellent and it was nice to have (as requested) a room with a canal view.We suppose that made it a "romantic" room! the furniture is normal hotel Ikeaish, totally adequate, but "romantic"?? The complimentary bottle is a nice touch.